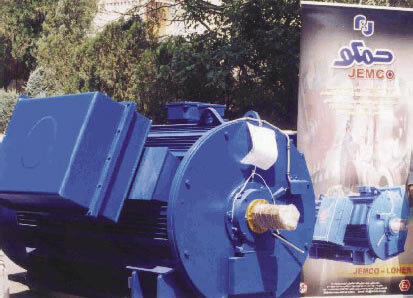 Jovain Electrical Machines Industries Company (JEMCO), affiliated with Industrial Development and Renovation Organization (IDRO), was founded in 1990 in order to satisfy all the demands of the industries in the field of heavy electrical machines, in Iran and abroad. JEMCO's factory is built on a plot of land 250 hectares in area, with 60,000 square meters of built-up space, including eight production sections. The JEMCO factory is equipped with latest modern technical facilities along with highly qualified and experienced personnel (engineers and technicians) and hence capable of designing, manufacturing, testing and maintaining its products in accordance with IEC and other international standards. Its products consist of various types of three-phase industrial electrical motors and generators of 15 kw and more output power as well as other special electrical machines. The annual production capacity is 1,200 megawatts equivalent to about 12,000 units of electrical machines as listed on this page. The most important project implemented by JEMCO is the one the Company undertook to carry out for the Iranian Oil Industry. The project concerned the production of 1,000 units of explosion proof, low voltage electro motors for SPEC Company and 23 units of high voltage (1300 kw), explosion proof electro motors for Maroon Petrochemical Complex. The project was implemented in conjunction with the German manufacturer, Loher, and is generally considered to be a very significant project by regional standards. 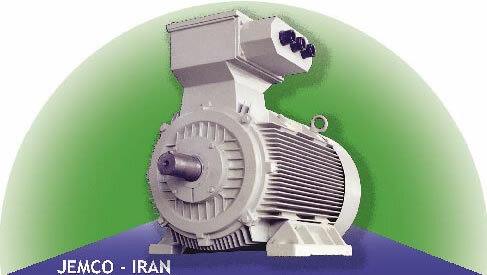 JEMCO'S aims are to set the wheels of Iranian industry rolling. This has meant that JEMCO has had to compete with foreign producers and to defend its identity and put itself at the heart of the country's industry. For JEMCO making a sale is not the end of a process but the beginning. This means that the aim is not just to sell but to be ever present in the industrial arena and provide after-sales services to the customers' full satisfaction. Customer satisfaction is the main objective and the motto of JEMCO. It means offering high quality products and backing it with excellent after sales services, and treating customers with utmost respect and friendship. JEMCO's engineering section of the Sales Department considers customer satisfaction to be one of its main duties and that is why it is always at the service of every customer. JEMCO's sales engineering duties acts as a bridge between the Company and the world of industry, a bridge along which pass technical data and information concerning the products, either in the routine or the project markets. To be constantly in touch with the industry and the market, the Sales Department attaches a great deal of importance to specialized seminars, forums and meetings many of which are arranged and held by the Department. One of the main worries of the Sales Department is the lack of adequate technical information and awareness about the products, on the part of the customer. This lack of information sometimes leads the customer to non-professional suppliers and this is a problem that the Sales Department tries to eradicate by holding technical seminars, forums and special debates in order to raise the level of awareness of the public and enable them to make the right choices.